I have to admit I use a rechargable toothbrush most of the time. I’ve had it for ten years and now feel it’ll be a waste to throw it away and I should use it until it dies naturally – which it’s close to doing, I have to charge it more and more frequently. However while I’m away, which is often, I always use a manual toothbrush to save taking the charger with me etc. So when Male Organics sent me Preserve’s toothbrush to try out, I took on the challenge with relish. Especially as Joel got to review the Radius toothbrush. The first thing to point out is that it’s made of plastic with a nylon brush head. The second thing to say is that the plastic is made from recycled yogurt pots and once you’re done with the whole thing you can send it back to Preserve for recycling. The box it comes in looks like plastic but says it’s made from wood (!) 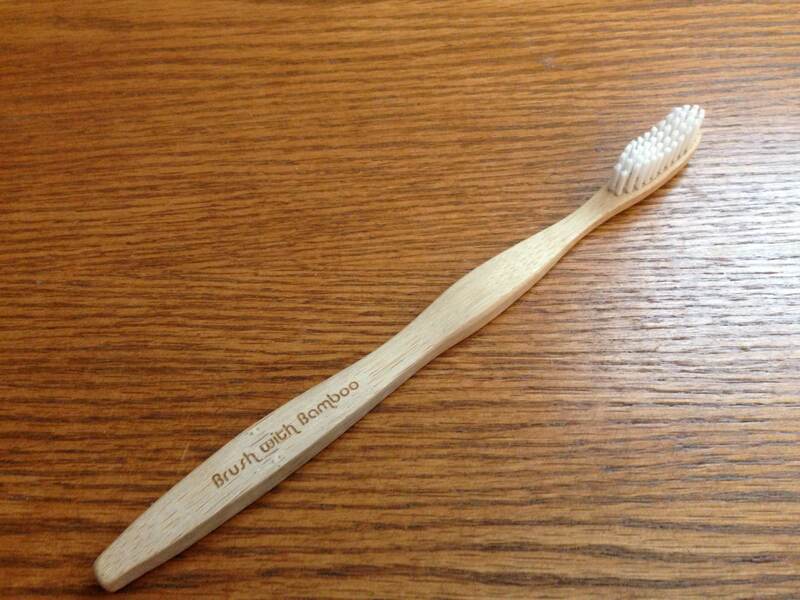 and this has a dual use as a holder for the toothbrush when travelling and is quite useful. The toothbrush’s handle itself is quite curved which takes a little getting used to but actually I now prefer it than a straight brush. The handle forgoes any of the now usual rubber grips and just has three bars/protrusions near the head that you can grip with your thumb and finger that works well, stopping your hand from slipping. I have the soft head brush but it comes in different styles (ultra soft and medium) and I would recommend anyone to give it a go when choosing their next brush. It might not be for some, but for simple functionality and environmentally friendliness you can’t get much better. A Preserve toothbrush is available from Male Organics“>Male Organics for £2.99.